Heartprints are those special ways you help and touch the lives of those around you in unique, heartfelt ways. 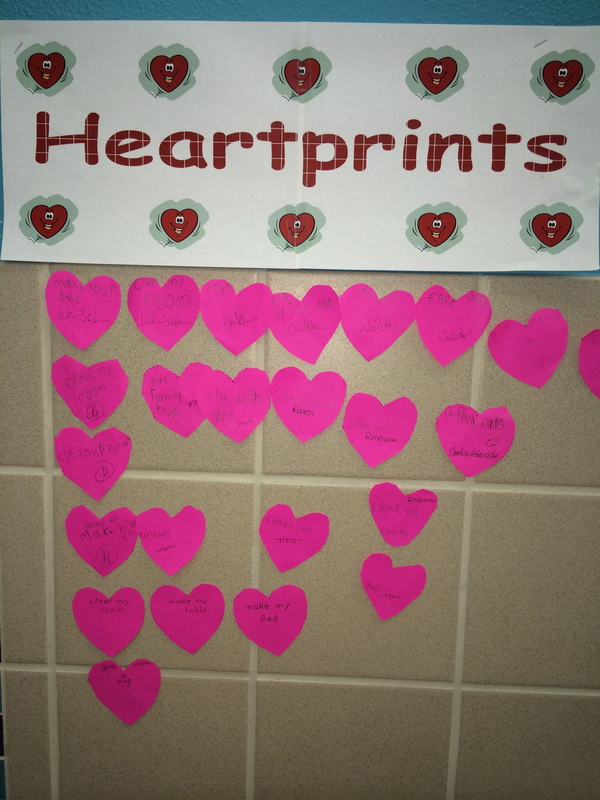 A great group of writers captured the spirit of giving heartprints by reflecting on ways to share with others…certainly a great way to fill your soul in heartwarming style! 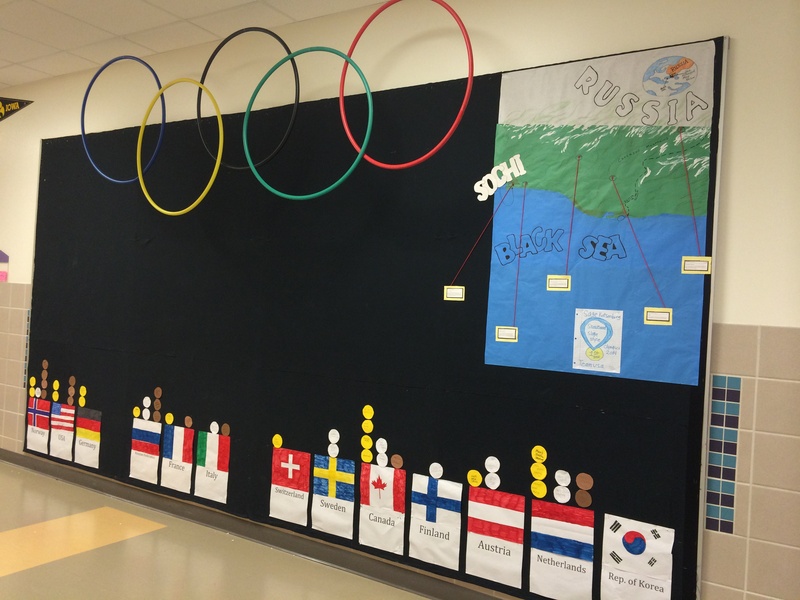 Likewise, our 5th grade Social Studies classes are tracking the hearty events of the Winter Olympics with daily medal counts in a fabulous visual graph worthy of special notice. Forget the NBC count; these learners have created a medal masterpiece, all while sharing fun facts and statistics for the entire school to enJOY! We have a large group of book buddies who “chews” to work weekly in reading, writing, and learning with younger friends (it’s a LME tradition). 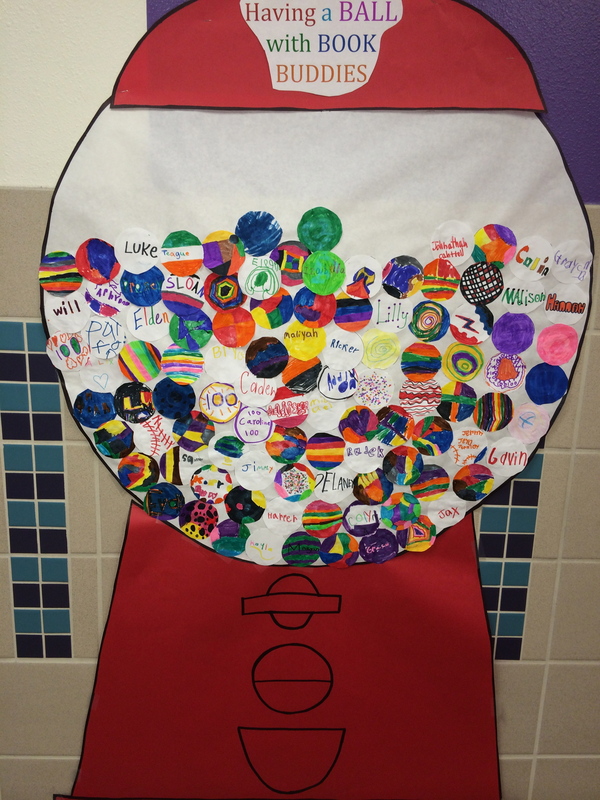 These younger friends shared a special display of thanks; you can tell they definitely “have a ball” together!
. . . and we can’t allow the big 100th day of school to go unnoticed! 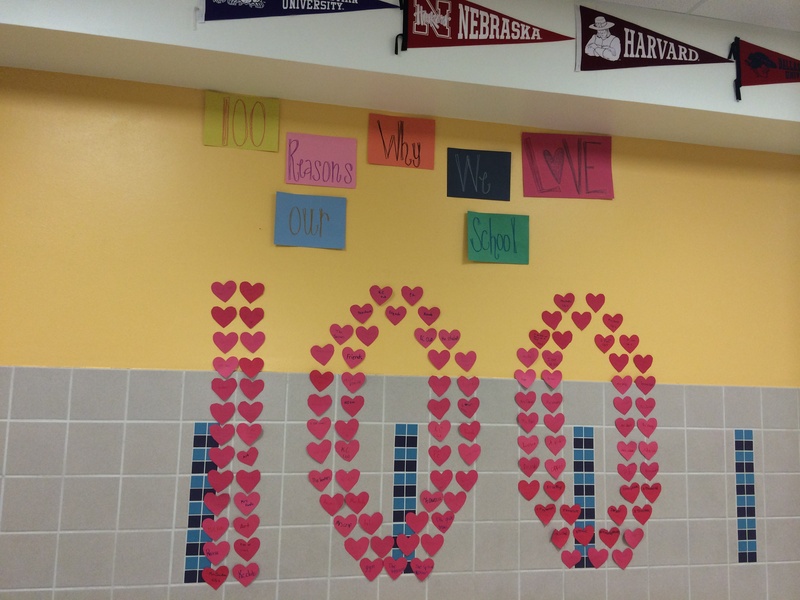 Our Kinder friends shared their love for all things 100 by completing over 100 reasons why they love our school…so impressive!